Updated: corrected number of cores. Boost Mobile today added the LG K30 to its list of inexpensive Android phones for $150. The K30 is a rebadged variant of the K10, which LG announced earlier this year. The K30 has a U-shaped metal frame and a 5.3-inch 720p display and a 1.5 GHz octa-core MediaTek processor. The rear camera has a 13-megapixel sensor and the front camera has a 5-megapixel sensor. Photo tools include bokeh/portraits and a Low Light Noise mode that works with HDR to reduce grain and provide more contrast in low-light shots. Other features include a 2,880mAh battery and fingerprint reader; GPS, Bluetooth 4.2, WiFi, and FM radio; and a microUSB port. It comes in black and ships with Android 8.1 Oreo. Boost is also offering a deal to those who switch. The prepaid carrier will provide four lines for $25 each, with unlimited talk and text; optimized video, game, and music streaming; and unlimited music streaming from select partners. The deal for switchers will be available through Nov. 15. Amazon has added the LG K30 to its list of Amazon Prime Exclusives for the low price of $140. The K30 is a rebadged variant of the K10, which LG announced earlier this year. 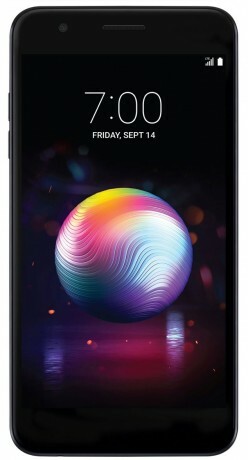 T-Mobile recently made the LG K30 available for sale from its web site for $225, or $9 per month for 24 months. The K30 is a rebadged variant of the K10, which LG announced earlier this year. LG today revealed two new handsets, 2018 updates to its K8 and K10 mid-range series. Both phones carry over the previous generations' pebble-shaped contours and 2.5D arc glass, but make advancements in the materials.